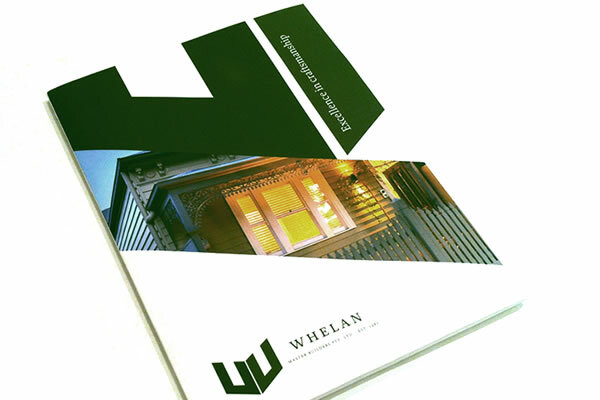 Whelan Master Builders needed a DL postcard that highlighted their excellence in craftmanship and high standards. 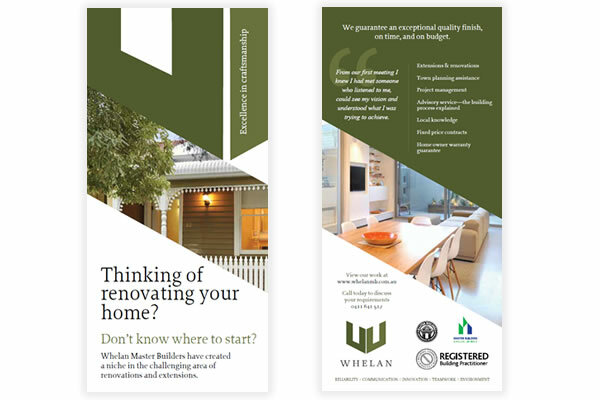 We designed the two sided DL flyer on 310gsm artboard with gloss laminate on both sides to look and feel impressive. The full colour presentation folder has a matt cellosheen finish for durability and a gusset so they can fit bulky documentation in.